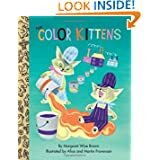 This classic Golden book is about two little kittens, Brush and Hush, who with their paint cans and brushes paint all the colors in the world. It's an excellent first concept book for toddlers and teaches color mixing. Jonathan is fascinated by color mixing and carried this book around with him for a couple days. Super sweet book that goes through what one would say if one sees a particular animal. It's a fun book that really invites reader participation! Jonathan had fun imitating me as I read it aloud over lunch time. We said "Ahhh" over cuddly kittens and "Pee-eww!" at dirty pigs. 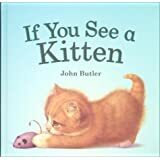 I love Butler's warm illustrations-- it's a great book for sharing with your toddler. This is a retelling of the classic nursery rhyme that Jonathan really enjoyed. Galdone's illustrations are so lively and full of interesting details that I found appealing as well. 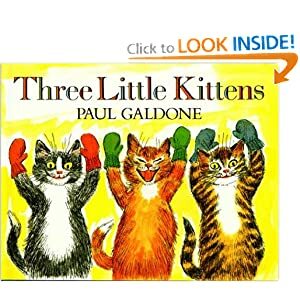 We sang the nursery rhyme as we read the book and Jonathan liked laughing at the naughty kittens. Really, this is a wonderful version of the rhyme and is worth adding to your home library! Oh my, Jonathan just loved this Caldecott winner! It's a story about a little kitten who mistakes the moon for a bowl of milk. The kitten does all he can to try to obtain the bowl of milk, resulting in several mishaps. But after all of his misadventures finds a bowl of milk waiting on the porch. It's such a simple story told in shaded black and white illustrations. Jonathan loved this book and requested it several times right before bed. We'll be buying this one for sure! 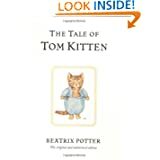 I remember enjoying Beatrix Potter's stories when I was a child and have a vague memory of liking Tom Kitten. It's a simple tale of three little kittens who are dressed in their best clothes only to lose their clothes while playing outside. Unfortunately, it didn't hold Jonathan's attention at age 2 1/2. I think it would be better suited for preschool aged children, so we'll try it again when he's a bit older. This was a book I checked out for Grace since she's really enjoying touchy-feely books lately. 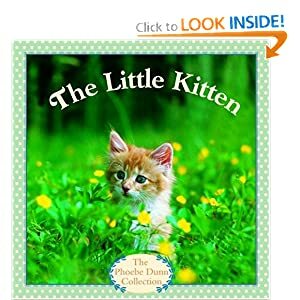 It's a simple book (like the rest in the series) that shows different kittens saying "that's not my kitten" and giving a reason why until the last page shows the correct kitten. . Each page has a texture to feel and Grace enjoyed patting the "kitties" as much as I thought she would. It's a great series for young toddlers. *Denotes a favorite that we highly recommend! All of these are great, but I LOVE the Henkes one. 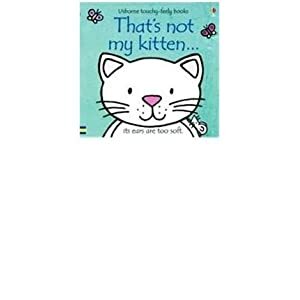 And my little one (16 months old) loves his "That's Not My Penguin" book, so I'm sure he'd love one about a cat, particularly because he loves the cats at my parents' house! Great theme! 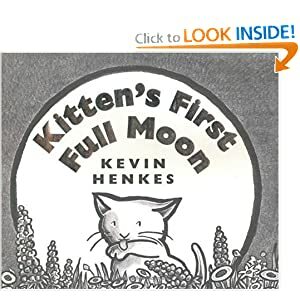 We love kittens here, and we also really enjoyed Kevin Henkes book. Thanks for joining WMCIR! Great books! I think it's fun for kids to have a few books with the same theme read together. I like to group together books by the same author for read alouds too. Color Kittens is a classic. Glad to see you included it. I need to get my hands on a copy of Kitten's First Full Moon. 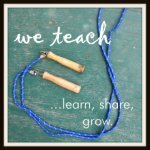 Thanks for linking up at Feed Me Books Friday. We love the "That's not my..." series. I haven't seen the Henkes title, but I'm going to have to look it up. I love his work and this one sounds adorable too!